Born and raised in Philadelphia, PA, Chef Brian Duffy had his first experiences in the kitchen as a child with his big Irish-Italian family. Those experiences introduced him to culinary life and led him to study at Philadelphia’s The Restaurant School at Walnut Hill College. Duffy spent time at a variety of culinary gigs before forming the “Duffified Experience Group,” a consulting firm, in 2012. The group has allowed Duffy to advise restaurant and bar owners and operators around the globe. His success led him to what he is most recognized for: his abundant television appearances. He’s been a mainstay on Spike TV’s Bar Rescue, and has appeared on countless segments on Food Network, DIY Network, HGTV, NBC, and Fine Living Network. In 2016, Duffy opened Flying Fish Crafthouse, an urban American gastropub in his hometown of Philly, where he is head chef. 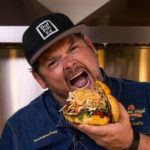 He’s also recently created “Duffified Live,” a podcast with an over-the-top approach to eating, drinking, and traveling. 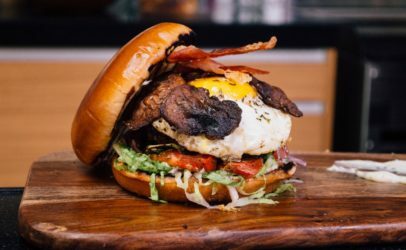 A basted sirloin patty stacked high with lettuce, onions, tomatoes, shiitake mushrooms, goat cheese, prosciutto bacon, a fried egg, and rosemary aioli on a buttery brioche bun. 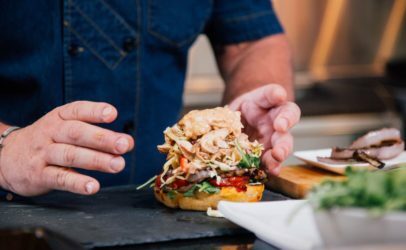 Sous vide chicken thigh, mixed with barbecue aioli and accented by a smoked fennel slaw on our rich focaccia. 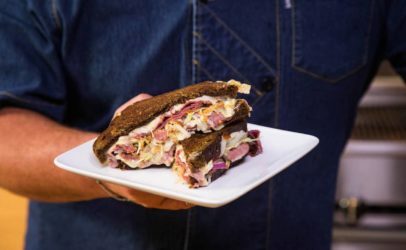 Avocado butter and a caramelized onion slaw take the classic reuben to another level, featuring our tasty pumpernickel.